A very unusual and unique case was reported in the journal JAMA Dermatology where bitter-tasting pumpkin and squashes caused hair loss in two women. In two different cases reported, two women experienced hair loss after consuming a plant from the cucurbit family. Melon, squash, cucumber, pumpkin, watermelon etc. belong to this family. Initially, the two women suffered from food poisoning after consuming bitter pumpkin but after a week they gradually started losing their hair. In the first case, an adult woman started suffering from digestive issues including nausea, vomiting and diarrhea hours after eating a bitter pumpkin soup. Other members of her family who also had the soup faced similar problems. However, she was the only one to experience hair loss only after a week time on her head and the pubic area as she had consumed the most amount of soup as compared to others. In addition to losing patches of hair, other areas of her hair were affected by trichorrhexis nodosa, which is when the hair becomes more brittle and have higher chances of breaking. After two months, hair had grown to a length of 2cm on the areas of her scalp mostly affected by the alopecia. In the second case, another woman had severe series of vomiting an hour after having a meal that included squash. She was the only who suffered from food poisoning as the others had avoided eating the squash due to its bitter taste. Three weeks after the incident, the woman had reportedly lost hair on her head, armpits and pubic area but after six months her hair had regrown by 6 cm in both the areas affected by alopecia and trichorrhexis nodosa. Philippe Assouly, a dermatologist at the Saint Louis Hospital, stated that the presence of a toxin called cucurbitacin in the pumpkin and squash, which gives the foods a bitter taste, is probably the prime suspect of the food poisoning which resulted in the hair loss. Hair loss induced by plant ingestion is a classic cause of toxic anagen effluvium but is rare. The implicated mechanism of toxic effects from these plants on the hair follicle seems mainly due to their antimitotic action. 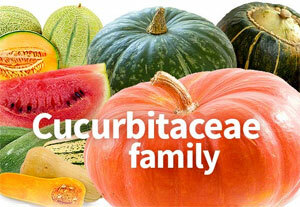 Plants from the cucurbit family often have lower levels of cucurbitacin which in turn makes them taste sweeter. Therefore, it is important that people become more aware of this harmful side effect of food poisoning that may be due to higher levels of cucurbitacin.